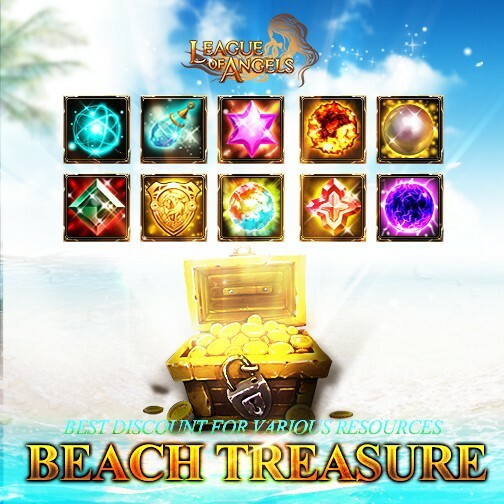 1.Godsend, God's Trial Blitz Card, Soulstone, Element Crystal, Gem Enhancement Stone, Angel Tears, Aegis Shard and many hot resources are on great sale this time! You can't miss them out! 2.Heavenly Mirror(Rare) and Saint Bracelet(Rare) are newly added in the Manual Pick Mode. 3.Khaos Equip II. 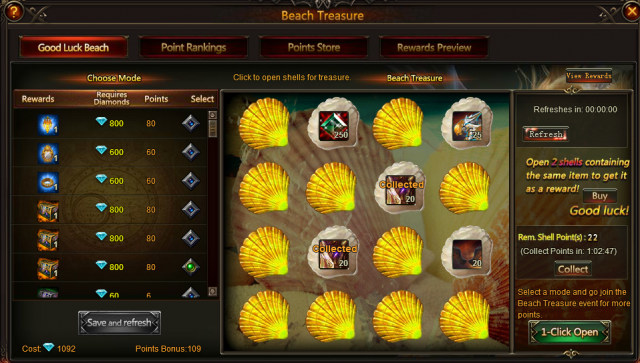 Chest, Spirit Essence, Parchment, Magic Dust are available in Points Store. Clothes and wings: Leprechaun Suit, Moonbeam Wings, Blazing Wings and many hot items are waiting for you in the Manual Pick Mode! Besides, you have the chance to win Accursed Totem(Ruby)! More exciting events are coming up through May 18 to May. 27(server time), check them out in the in-game Hot Events menu now!